You own this moment. Diabetes doesn't. covered by Medicare Part B†. available at a lower price. We can provide you with ongoing support to help you manage your diabetes. See if you qualify today for a OneTouch Verio® brand of meter! We're here for you. If you would like support or have any questions about your OneTouch® product, our experienced and understanding Customer Care agents can help guide your way forward. ^Compared to a result without colour. 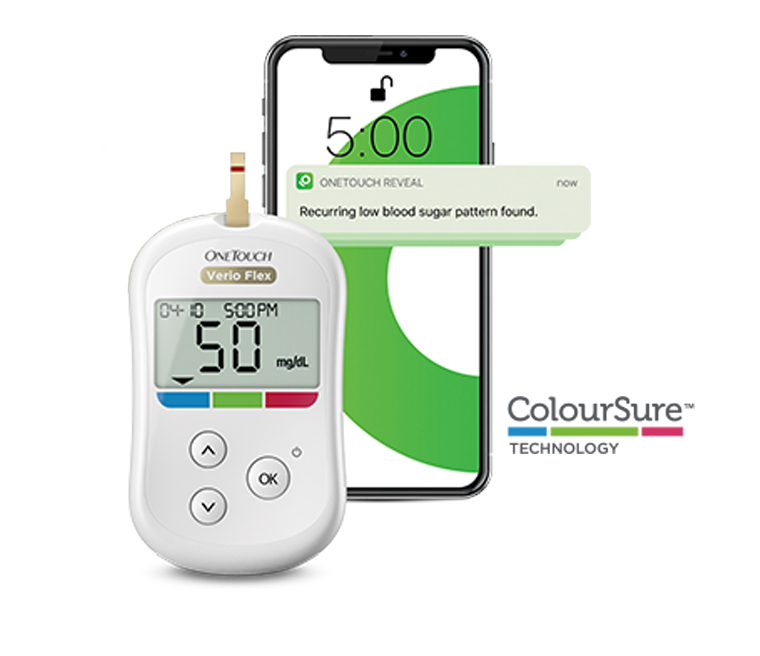 In a study that assessed responses of patients with diabetes to a series of BGM results with or without a colour range indicator (ColourSure™ technology) based on a series of simulations. Study conducted in the UK with 103 patients (47 Type 1 & 56 Type 2) in Dec. 2015 and Feb. 2016. 65% of 94 insulin using patients agreed with the statement that showing a result with colour made it easier to know when to act. †Do not make immediate treatment decisions based on the Range Indicator feature. Treatment decisions should be based on the numerical result and healthcare professional recommendation and not solely on where your result falls within your range limits. ©2018 LifeScan, Inc. All trademarks are the property of their respective owners. This site was last updated on 30 April 2018. Unsubscribe from email marketing communications.